Your visitor doesn’t know you, so there is no way he is going to listen to you when your call to action just says “Buy now”. Why should he? What does the deal have in it for him? Answer the question when you are making the call to action. 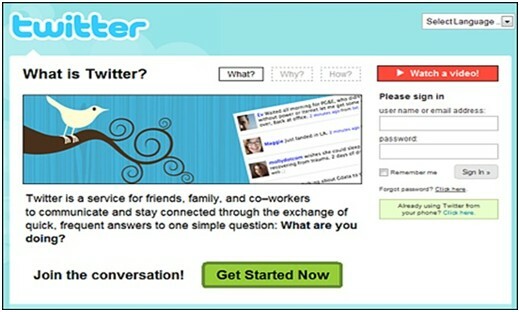 In the above example, the ad explains what Twitter is about, and then calls the visitor to be apart of the social conversation before telling him to get started on the site. It is a clear enough explanation of what the visitor can expect on the site when he signs up. A similar explanation to your visitor about the benefits and services he can derive from performing the call to action makes the chances of his responding increase. So add that extra line or two before call to action. Besides the obvious benefit the visitor gets from responding to your call to action, you can sugar coat your offer by offering a little extra. That way, the visitor thinks he gets more out of the deal than he gives, and this makes the conversion even easier. In the above example, you get a t-shirt free when you sign up on the site, but you also get another t-shirt if you re post and like the page. 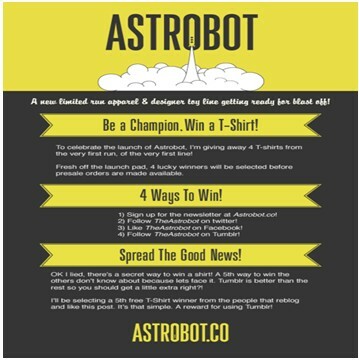 A little freebie, but a lot of people would click on it for that extra t-shirt. Use something like that, a free trial, or a free e-book as a special giveaway to those who respond to your call to action, and see the conversions rise. We all like discounts and freebies. Sometimes it is a good idea to play to that essential nature of your visitors rather than make an obvious call to action. In the above example, the visitor is interested in clicking when he sees how much he can save and what he is being offered. This works way better than writing “Save with every yummy meal you have at Burger King” because the visual impact of the coupons is far superior to what you can tell them in words. So if it suits your product, skip the obvious call to action and let your images do the work for you. Why call-to-action is needed in banner ads?